Explore the world of Gracie Barra Yorba Linda, where self defense skills and historic Brazilian teachings build leaders for life. Empowering women, men and kids through self defense training, Gracie Barra Yorba Linda builds champions for life through a combination of expert technique and personal growth. The Barra family promotes defense (not offense), teaching lessons of respect and civility to build students' character and courage. 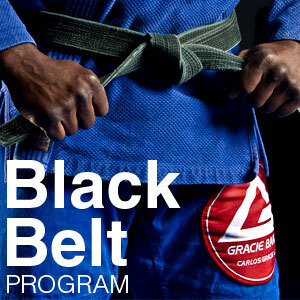 From beginners to black belts, Gracie Barra Yorba Linda combines expert techniques with personalized instruction for an unforgettable experience. With classes for ages 3 and up, the Gracie Barra method embodies the teachings of Master Carlos Gracie, Sr. with the hands-on expertise from two-time World Master Champion and 3rd degree black belt Professor Carlos Guimaraes. What are the principal qualities of a great fighter? What does it take for an ordinary person to realize his or her own potential? Brazilian Jiu-Jitsu is a beautiful art that everyone is capable of learning and enjoying its many benefits. Gracie Barra Programs reflect more than thirty years of Master Carlos Gracie Jr. ‘s teaching experience and have succeeded in improving the life quality, self-esteem, discipline and health of thousands of individuals around the world, as well as building some of the best BJJ fighters ever known. Professor Carlos started training at 15 years old back in Belo Horizonte, Brazil with Professor Daniel Matheus, at the time a purple belt student under Gracie Barra. Since the beginning, he was very dedicated and, after about an year, he was helping with the kids’ classes at his school. At the age of 21, Professor Carlos received his black belt from Professor Aldo Januario, and went to teach classes in Germany for over 3 years. It was a great experience for him, and he learned a lot. In 2009, Professor Carlos received an invitation from Master Carlos and Professor Marcio to come to the U.S. to help the team at the GB Yorba Linda school. After being the chief instructor and overseeing all the positions, he was able to make his dream to own a school come true. Now Professor Carlos is really happy to be able to help people through BJJ and also to be able to balance being a family man, school owner, head instructor and active competitor. Professor Mario Juswanto began his training in Brazilian jiu-jitsu in 2007 at Gracie Barra Yorba Linda. He earned his black belt under the guidance of Professor Carlos “Chalita” Guimaraes. Professor Mario regularly trains at other Gracie Barra schools in addition to training at his home school, Gracie Barra Yorba Linda, in order to expand his knowledge and share what he has learned. He seeks to continuously improve himself while upholding the values of Gracie Barra. Professor Mario teaches both the children and adult classes. He enjoys motivating his students and helping them to reach their goals. Coach Chris has been training Brazilian jiu-jitsu for two years and is a Blue Belt under Professor Carlos. His love for brazilian jiu-jitsu led him to take the program director position so he can share his passion with our students and families. Along with this position, he began to help coach the Little Champs and Juniors program as well as teaching Fundamentals classes. He enjoys the atmosphere in the school along with the friendships and training partners he has gained since joining our team. He also loves to compete in BJJ tournaments. He enjoys spending time with his family and watching his daughters play soccer. Professor Jae Lee started Brazilian Jiu Jitsu in 2012 under Professor Carlos Guimaraes. He was motivated to start Jiu Jitsu after a health warning from his doctor and wife. He loves teaching the details and intricacies that make Brazilian Jiu Jitsu so effective and amazing. Professor Jae is passionate about Jiu Jitsu because of the health benefits, self-defense, and the memories he has made with his teammates. As of December, 2018, he has promoted to a black belt and earned his “Professor” status. He is a father of four and enjoys watching Korean dramas, being on Facebook, playing the guitar and attending church. He has also involved his son in the BJJ culture and enjoy training together. Professor Lester started training BJJ around 2009 with goals to live a healthier and active lifestyle. He fell in love with the sport immediately and began to dedicate himself to the "Jiu-Jitsu for everyone" method. He began coaching the kids and Fundamentals classes with professor Carlos as a blue belt to help spread the joy and benefits of Jiu-Jitsu and never slowed down. Since then he formed strong bonds between students, parents and team-mates; helping them to reach their goals and creating friendships along the way. Furthermore, since receiving his brown belt in 2016, he has been teaching and leading some of the Fundamentals classes. As of December, 2018, Professor Lester promoted to black belt and earned his “Professor” status. In addition to teaching Fundamentals classes, he now runs the GBKids program. He is passionate about teaching and enjoys every moment on the mats with his team-mates and students. Professor Lester has plans to compete more to further express his Jiu-Jitsu, along with sharpening his skills. When he is not on the mats, he enjoys outdoor activities, dancing, and laughing or making others laugh. Derek was introduced to No Gi Jiu-Jitsu in 2007 when he was wrestling with an MMA team. Derek began looking for a little more structured approach for his journey after reading a magazine interview given by Professor Marcio Feitosa (the Gracie Barra Headquarters’ head instructor at that time). Professor Marcio’s description of the way Gracie Barra did things was exactly what Derek had been missing and he joined Team GB at the Irvine School in 2008. It was there in 2009 that Derek met Professor Carlos. When Professor Carlos opened a school in Placentia, Derek visited there often to train and keep in touch. As the core group of guys at GB Placentia became closer training partners and friends and Derek eventually transferred to train at the Placentia school. The last ten years of Derek’s life have been full of change. Through these wonderful but challenging events, his passion for BJJ proved to be a means of providing for himself so he could better meet the increasing obligations of his life. Instead of trying to “find time” to train he MADE the time; made a commitment to train a least twice a week. BJJ has influenced him to make healthier choices as part of a larger BJJ lifestyle. Master Carlos Gracie Jr. (the Founder of Gracie Barra and visionary of the Jiu-Jitsu for Everyone initiative) describes Jiu-Jitsu as a health-focused “counterculture,” a means by which lives - and the world - can be improved. As challenging as it has been to be away from a busy home 3 or 4 times a week to do something for himself... the sacrifice of family time that allows for participation in and dedication to the Jiu-Jitsu counterculture pays dividends in Derek’s health, quality of life, and family time. He quit unhealthy eating, alcohol, and tobacco habits. He practices yoga to supplement his BJJ, and meditation to support both. He has come to realize that all these “side effects” are as much a part of his Jiu-Jitsu as anything that happens on the mat. In the last 2 1/2 years, Derek has lost 85 pounds. More importantly the good brain chemistry of intense (and fun) exercise helps combat anxiety and depression. Derek has come to realize that there is almost no limit to what to a BJJ student can gain from the practice… no matter their goals or aspirations. Many goals are met just by stepping onto the mat with a great team. Currently, Derek has earned his black belt and teaching classes. At Gracie Barra Yorba Linda, the team can help you burn some calories, build your confidence in self defense, or prepare you to be an international competitor in the sport (he has been blessed to experience international competition). The diversity of goals is not the only diversity worth noting. The camaraderie of training with teammates from all walks of life is great. On the mats, all the ways our society divides itself go away - replaced simply by Team GB. Please enter your contact information below and one of our qualified team members will contact you shortly. We protect all of your contact information and assure you that your personal information will not be distributed or reproduced in anyway.